The unveiling of the Sustainable Development Goals (SDGs) was the highlight of the week-long United Nations General Assembly (UNGA). The SDGs is the successor framework to the MDGs, with an overarching objective of eliminating extreme poverty by 2030. Its 17 goals, 169 indicators and a global rather than developing-world focus make it more expansive in scope than the MDGs. Expectedly, a gathering of this scale unveiling such a grand global agenda drew a lot of flak. From accusations of being too ambitious and concerns about how to finance the SDGs, to contradictory accusations of both an excessive and insufficient emphasis on aid financing and the absence of reliable data to measure progress across ‘vague’ indicators, there are many holes to pick. Despite some of these valid criticisms, there are three main reasons why we should be optimistic about the SDGs. First, the SDGs have placed economic development squarely back on the agenda of global development. Goals 7 (Sustainable Energy), 8 (Economic Growth and Employment), 9 (Infrastructure, Industrialisation and Innovation) and 10 (Inequality) and their attendant indicators are geared towards this objective. This is a marked departure from the MDGs which focused largely on health, education and other dimensions of social development. The indictment on the MDGs’ neglect of growth, incomes, employment, infrastructure and industrial upgrading was laid bare by the rapid development of China and India. As noted already, the poverty reduction in these two countries – lifting about 500 million people out of poverty – alone accounted for the attainment of the overarching MDG goal of halving extreme poverty by 2015. This feat was in spite of, not because of the MDG framework. Second, the SDGs’ emphasis on economic development is indicative of a shifting global consensus towards industrialisation-led economic development. Industrial policy – basically government intervention in the economy to allocate scarce resources to preferred sectors, support firms and correct market failures – once a ‘heresy’ shunned by mainstream development discourse since the 1980s is now regaining acceptance. This paradigm shift is largely attributed to the unravelling of the myth of perfect markets by the global financial crisis, and the explicit interventions by American and European governments – through bailouts of the financial sector, partial nationalisation and quantitative easing to finance all these interventions – to rescue economies on the precipice of collapse. Furthermore, the reality that problems in advanced economies now parallel the experience of many poor countries for decades has made industrial policies cool again. These include gradual deindustrialisation– think Detroit’s or Newcastle’s moribund factories – and premature de-industrialisation in some developing countries, rising unemployment and underemployment, stagnating incomes, deteriorating quality of public services and rising inequalities. The idea that Britain would require a ‘Vision for Britain 2020’ investment strategy, utterly unthinkable just fifteen years ago is slowly gaining traction. Highlighting the centrality of industrialisation to sustainable economic development in both the global north and south provides an excellent opportunity to engage in continuous debates on how countries can go about this. There’s a lot of exciting and emerging research in this area – including work by Dani Rodrik, Justin Yifu-Lin, Joseph Stiglitz, Thandika Mkandawire, work by the Economic Commission for Africa and a new volume by researchers at the Danish Institute of International Affairs focusing on Africa to mention a few. Third, with the SDGs (as the MDGs), perhaps the most critical benefits for the poorest countries will be acquired in the journey itself rather than the destination. The enablers for the SDGs such as securing adequate financing, capacity for data collection to track progress and the adaptation of these goals to regional, country and local contexts, are all auxiliary targets of sorts. Despite the many flaws of the MDGs, they did improve funding for data systems in many developing countries – although the problem then was many donors simply funded collection of specific data relevant to indicators they were interested in, as Yemi Kaale, Nigeria’s Statistician General explained recently. To that effect, the SDGs provide an opportunity for developing countries, especially African countries to reform national statistics bureaus and tax collection systems for domestic resource mobilisation. The imperative of adapting this agenda locally will hopefully compel countries to articulate their local development priorities. At least at a continental level, there is now an Africa Agenda 2063 focusing on inclusive growth and regional integration. Critically, financial constraints in the context of a global economy struggling to recover from the 2008 financial crisis are driving a renewed global focus to combat money laundering and other illicit financial flows most deleterious to African countries. Tackling money laundering has recently picked up momentum in Britain with numerous pledges made by Prime Minister David Cameron to that effect. The SDGs are not without numerous shortcomings, chiefly their scale of ambition and vagueness. Yet, in a world finally coming to terms with the reality of its diversity, it would be virtually impossible to have narrow targets which are also representative of the world’s multifarious voices, preferences, value systems and visions. The best we can hope for is a guide, as the SDGs, which governments can commit to but still retain sufficient leeway to adapt these goals to their varying national priorities. Finally, a close assessment of where some of the criticisms emanate from reveals the blind spot of value-laden assumptions underlying them, in seeking to tie countries to specific commitments normatively defined as ‘good’, ‘bad’, ‘efficient’ or ‘practical’. What I truly find more amusing than white male experts dominating the discourse on development, is white male experts complaining about how other white male experts dominate the discourse on global development for a world which is neither majorly white nor male. Thanks for this thought-provoking and informative post. 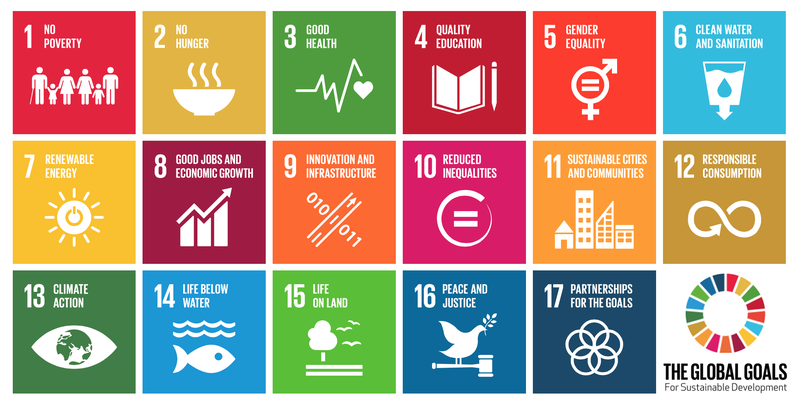 Having studied both development economics and sustainable development, I take an interest in the SDGs. Some of the literature on SD seems to try to move away from the industrialisation agenda, but is not always clear what should replace it. By contrast when I studied DE at SOAS, the emphasis was strongly (and realistically in my opinion) on the need for poor countries to industrialise and for an industrial policy. As you describe, the latter seems to be coming back into fashion. Countries such as Japan, South Korea, Taiwan and China have used it with some success, but there are plenty that weren’t so successful with it. My readings suggested that this comes down to political factors such as the balance of power in society, which shapes how support for particular sectors can be sustained, captured by vested interests or withdrawn in the event that the relevant firms do not prove a success. Without considering the political economy of industrial policy, I think it may once again be hard for many poor country governments to create growth ‘miracles’ consistently. But the potential is there. Thanks again. As a student of Industrial economics I believe the path to reducing extreme poverty lies in a new wave of industrial revolution especially in the global south. The first industrial revolution in the global north brought with it the term ‘niveau riche’ because it was what actually lifted a lot of people out of poverty. This developed expensive tastes for the masses and luxury was no longer just for the Royals but for anyone that could afford it, hence the commercialisation and birth of several opportunistic industries such a lifestyle, healthcare and education. My point here is that industrialization has a chain effect and has proven to be the most effective route to out of extreme poverty world wide. The prosperity borne on the backs of industrialization at the dawn of the 19th century in the west is what is playing out today in china; a booming middle class, consumerism and opportunity. The Chinese today are healthier and better educated which proves that industrialization is the means to an end. This shows that unlike the MDGs that targeted the end (healthcare, education and environmental), the SDGs will target the means to an end.